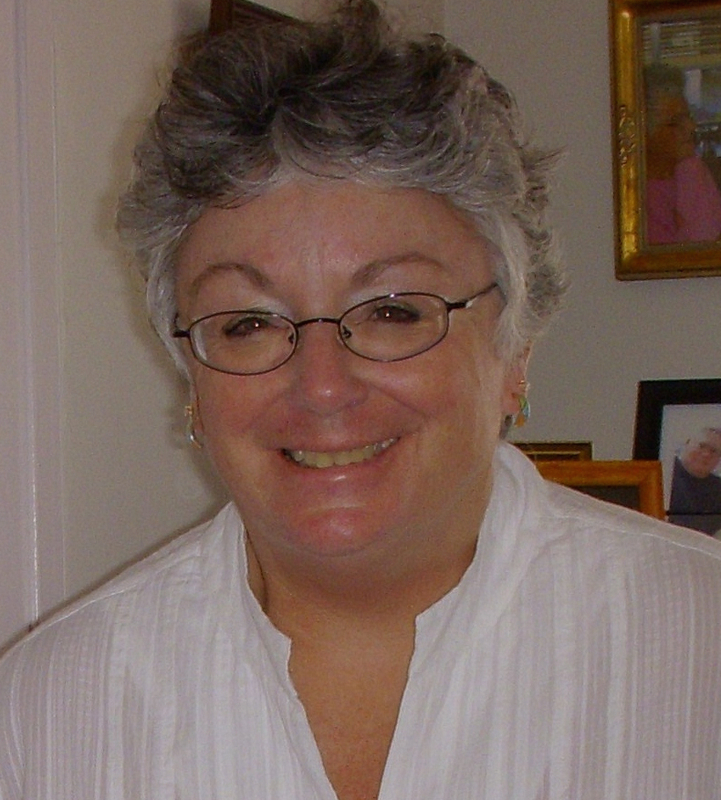 Gwen Whipple retired last year but decided to stay busy. The Seattle resident has a love both for fabrics and for the work One Hundred For Haiti is doing in Haiti. She recently decided to take her passion and transform it into a fundraising campaign for us. It was all her idea and she has been able to donate thousands of dollars to us. 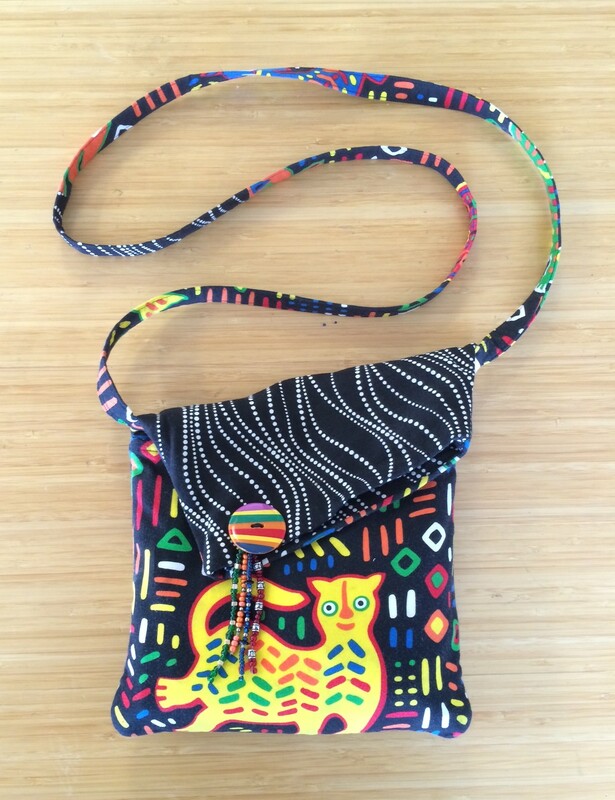 Gwen makes handmade purses like the one shown below and has set a goal to sell one hundred of these for us. We asked her recently about the campaign and where her idea came from. 100FH: How did you get involved with sewing and how did the idea of the purses for Haiti project come together? GWEN: It started about twenty years ago when I went to visit my brother and sister-in-law in Sacramento. Betty signed me up for a quilting class. I had no supplies but it was so exciting and fun. Once I started going to quilt shows I found fun patterns for bags and purses. I still get to put the colors together (my specialty) but the projects get to the finish line quicker. I got inspired hearing Greg Bennick speak recently in a keynote presentation at an event. His passion for the people of the country was intoxicating, and drunk on excitement I decided I could do something. I knew I was going to keep making these purses so I thought, wouldn’t it be great for the proceeds to go to a fund where the money is clearly helping people pick themselves up and have a better life? The next thing was to broaden my exposure so, with my new goal of one hundred purses for Haiti, I began networking. I had seen Greg at the perfect time. He had returned from his trip to Haiti and changed the course of the organization from pure relief efforts to development efforts. The timing was perfect as I had created these small purses that were getting attention. I was taking orders and making them for others (made a few for gifts). I was amassing the money but had no outlet. Once Greg finished with his keynote speech the idea began forming. As I drove home I realized that I knew where the money should go. I decided on my trip home that I would make 100 purses and donate all the money to 100FH. I sent a note to Greg once I got home and he was super excited. He has since helped me with the domain name as well as hosting it. I knew the money donated would be well spent. 100FH: How long does it take to make one purse? 100FH: Why is this cause important to you? GWEN: I trust that this money is in good hands and helping brighten lives. It started simply with clean water now those same people are asking for help to help themselves through conditions most of us have never had to endure. Life is good for me, how could I refuse this simple request to help? It is a win-win-win. I get to feed the creative side of my brain, someone gets to walk around with a new stylish purse knowing that the money spent is going to a great cause, and One Hundred for Haiti gets a new stream of money to fund programs. When you think about the saying “a little goes a long way” what thoughts and feelings come up? GWEN: I believed that my trickle of money every few months over as long as it would take me to accomplish my goal would be a nice addition to those with larger one-time gifts. I feel good each time I get the thank you note and add up my contributions. It inspires me to carry on. At some point I could stop and just donate the equivalent of one hundred purses, but where would the fun be in that? I still get to put the fabrics together and delight folks with a new, practical fashion option. I have learned so much about how to market with business cards tucked into a pocket of each purse to the website with pictures of purses I have made. 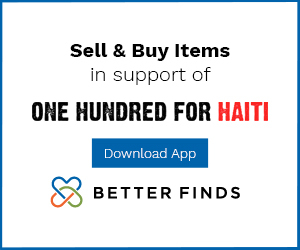 What does the future hold for Purses for Haiti? GWEN: I am working on designing purses number 60 through 62 as I sold all my inventory last week. I am still working through my stash of fabric and resisting the temptation to buy more. Once I hit my goal of 100, I may come up with a new project to help with fundraising. I also make quilts which make good auction items for larger fund raising events. I may reach out to special interest groups – Flamingo Lovers for example, to use up yards of donated flamingo fabric. For my final push to reach my goal, I can reach out to my Toastmaster groups and offer to give a speech about this project. Who knows, I may just find that next volunteer and sell some purses. What advice could you give to someone who wants to support a humanitarian effort in the way Purses for Haiti has? GWEN: We all have a skill-set that is being under-utilized. I bet there are opportunities to donate time/skills to the cause. Maybe someone is really good at organizing a fabulous fundraising event with a theme and getting lots of donated items. That takes a fair amount of time and a certain skill. That person is out there somewhere. In this video, recorded just before the 6th anniversary of the earthquake, One Hundred For Haiti’s executive director and founder Greg Bennick takes some time to explain the difference between RELIEF and DEVELOPMENT. 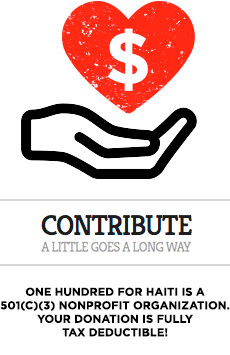 This video explains the core of what the work is that we do in Haiti and WHY we do it. With our local focus and support people on the ground for The Rural Water Project, and our partners “Little Footprints, Big Steps” and “Kay Tita”, initiatives like the anti-sexual assault GTPE trainings are coming to life in a major way and impacting lives all over Haiti. Four and a half minutes is all you need to devote to hear the whole story!